Inexpensive cuts of beef roast are easy on the budget and are often rich and flavorful. 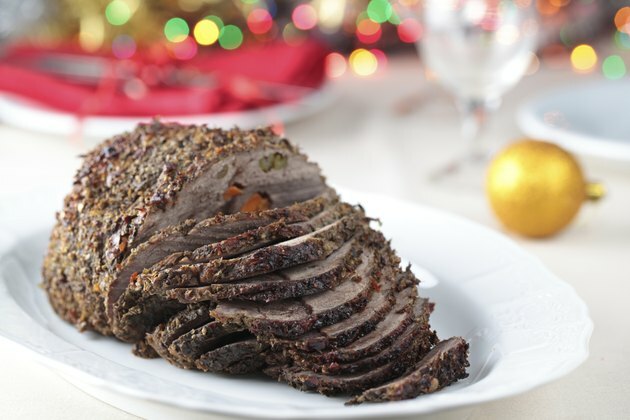 Nutritionally, inexpensive beef roasts are every bit as beneficial as expensive cuts. However, because the roasts come from lean, muscled areas of the animal, the meat can be tough and stringy. Shred tough leftover roast or cut it into pieces, and then incorporate the meat into tasty and healthful dishes. Put leftover roast beef to good use and make slow cooker beef stroganoff, as cooking tough meat slowly in liquid tenderizes the tough fibers. 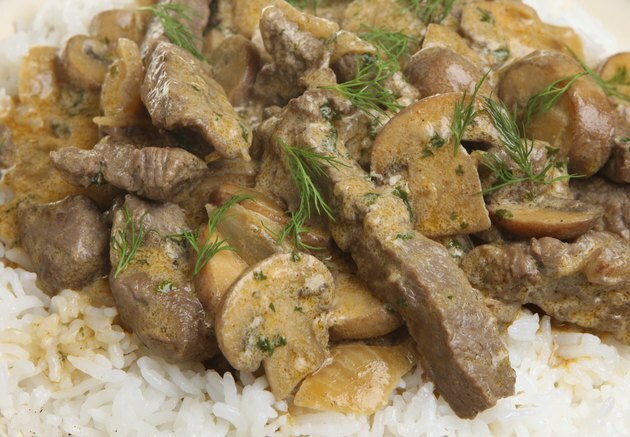 To make beef stroganoff, place the meat in your slow cooker. Add mushroom soup, beef broth, instant onion soup mix, sour cream, chopped onions and canned or fresh mushrooms. Canned soup and broth have a high salt content, so for healthier stroganoff, look for low-sodium varieties. Reduced-fat sour cream minimizes the fat content. Turn the slow cooker on high until the meat is hot, and then turn the heat to low and allow the meat to cook until it's tender and pulls apart easily with a fork — about two hours. Shred the beef and heat it in a small amount of heart-healthy canola or olive oil for about 10 minutes, or until the meat is thoroughly hot. 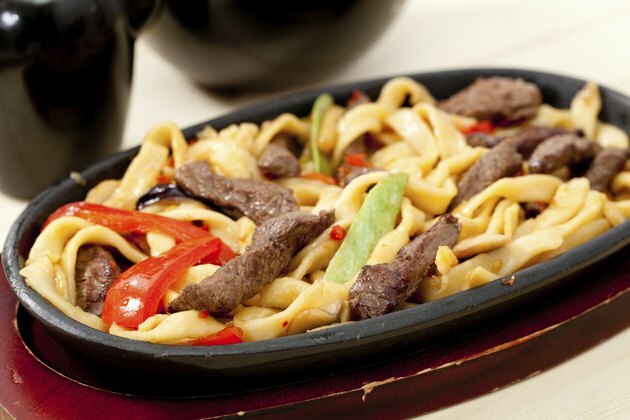 Stir in savory extras, let the mixture heat for five to 10 minutes, and then roll the mixture in warm tortillas. Add precooked brown rice and black beans for protein- and fiber-rich burritos. 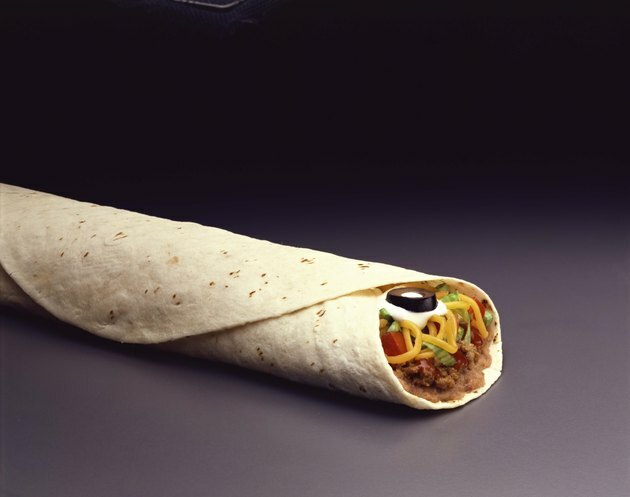 Other flavorful burrito ingredients include onions, garlic, lettuce, olives, shredded cheese, chopped tomatoes and flavorings such as cilantro, oregano, cumin, chili powder or cayenne. To keep fat in check, use low-fat cheese. Ramen noodles are just the thing for a meal ready in minutes. Shred the roast beef, then add it to hot ramen noodles. Mix in vegetables such as snow peas, corn, shredded carrots to add flavor and nutrition. For a crispier texture, saute the vegetables in olive oil, then add precooked ramen noodles and the contents of the seasoning packet. 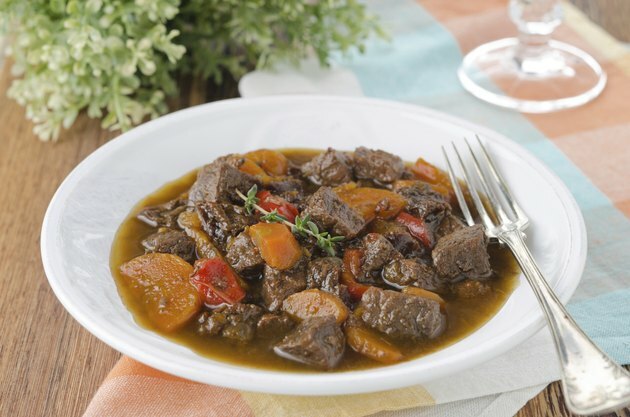 A basic beef stew made with leftover roast beef is a satisfying one-dish meal loaded with protein and vitamin-rich vegetables. To make stew, cut the leftover beef into 1-inch cubes, and then dredge the beef cubes lightly in flour seasoned with salt and pepper. Brown the beef in hot olive or canola oil. Add chopped onions and minced garlic to the skillet and continue to cook until the onions and garlic are soft. Put the mixture in a large pot or Dutch oven, and then cover the meat with beef broth. Cover the pot and simmer the mixture, stirring occasionally, for about 45 minutes, or until the beef is tender. Add vegetables such as potatoes, carrots, celery, turnips, parsnips and tomatoes during the last 15 to 20 minutes of cooking time.